Fianna Fail is hoping to secure its first elected representatives in Northern Ireland in 2019. 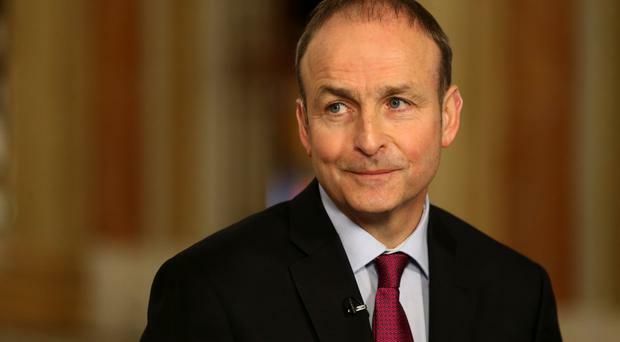 Micheal Martin intends to be in a position to run candidates in the 2019 council elections in a move that will unsettle both Sinn Fein and the SDLP. The party has long talked about the possibility of being a political force in Northern Ireland. However, the idea was put on ice following the 2011 election drubbing in the Republic. Mr Martin revealed that he sees 2019 as a realistic target date for a major move into Northern Ireland politics. He notes that it is already a registered party, and held its youth conference in Newry last year. He said that after the 2011 Dail elections the focus was to win back "critical mass in the Republic" but it's an "open possibility" that it will establish full branches in Northern Ireland. "I think work needs to be done before I make any declarations in that regard," he said, adding: "We're looking to contest the 2019 local elections. That remains a target." Fianna Fail is also set to start work on what the leader described as the first document to set out what a united Ireland might look like. Party officials are to spend at least 12 months working on a document that investigates the practicalities of reunification, including merging the education and health systems. "What are we talking about when we talk about a united Ireland? Is it two parliaments?" Mr Martin said. "The SDLP say they believe in that, so do Sinn Fein. So it's not the only idea that Dublin rules Ireland. You'd have two assemblies. "It's evolving work. I've no sense that Sinn Fein or anybody else have any sense of what the configuration would be. "Economically, what does it mean? Subsidy-wise, what does it mean? Integration of two health services, what does it mean? There are two education systems, which are quite different in some respects. So there are a whole range of issues there that we're proposing to put a team together to do some work on." The SDLP has had an informal relationship with Fianna Fail, with many of its members helping the party canvass in the Republic, and in turn members of Fianna Fail helping the SDLP to canvass. A spokeswoman for the SDLP said it had no comment to make on the matter.